I bought this vase today and was hoping I could get a little more information on it. I would like to know if this looks like it could indeed be an antique or is it more likely just a contemporary piece. The research I have done has not turned up another vase like this one, I have seen many similar to it and they all appear to be quite old. There are no markings on the bottom which does not help my cause. Any information would be greatly appreciated, thank you. This vase stands 7" tall. 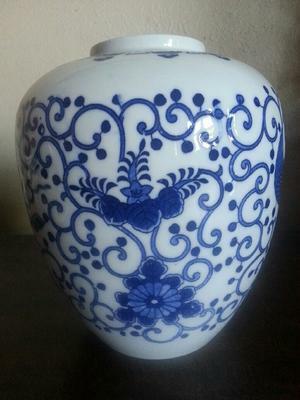 Comments for Antique Asian Vase? Appears to be a late 20th century piece. The bottom as well as the glaze and subject matter are a few of the things that show it is not old. This looks like a contemporary or more recent product. 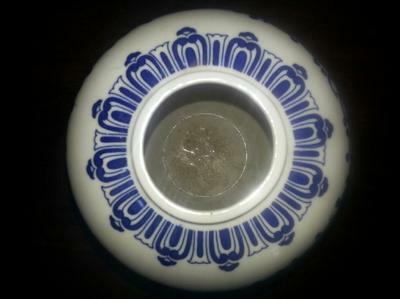 The shape is wrong for Chinese traditional porcelain. 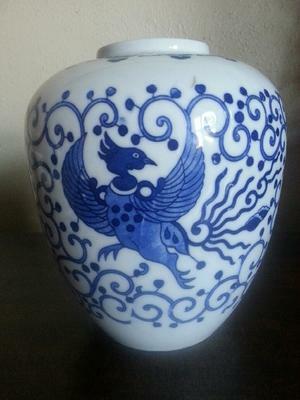 The decoration looks stiff, as if it was not hand painted, and the phoenix does not look like a Chinese phoenix. 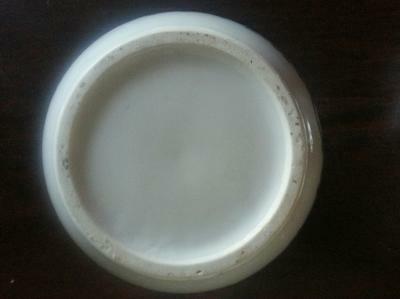 The bottom is not old.